Educational Initiatives (EI) is an ed-tech company that leverages the twin levers of cutting-edge research and technology-based solutions approach to revolutionize how children engaged in the K-12 education space learn. Our vision is to create a world in which children everywhere learn with understanding. Our goal is to reach a multitude of children across different strata of society, irrespective of the kind of education they are receiving today or the curriculum they are following. Role : We are looking for an experienced Sales Professional for the position of Regional Manager / Lead RM to join our team who can help us in creating a world in which children everywhere learn with understanding. The ideal candidate should be highly skilled in all aspects of sales, ensure profitable growth in sales, revenue through planning, and relationship with schools. responsible for revenue generation from the sales of products. practice/adverse issue at the school to the seniors. - Work towards creating excellent relations with the schools by giving presentations to each of the stakeholders (management, principal, teachers, parents, students) in the school. - Ensure that all services promised are delivered and ensure that the schools use this efficiently. - Ensure that the response time to schools is very high. internal resources efficiently to get the desired outcome. - To ensure profitable growth in sales, revenue through planning, execution and management of a supportive team. - Sales professional with 5 years of experience in Sales preferably from Education Industry. 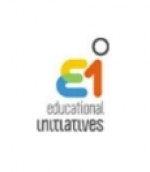 HR at Educational Initiatives Pvt. Ltd.